This is a tasty slow cooker macaroni and cheese recipe, made with just a few ingredients in the slow cooker or crockpot. When the macaroni and cheese is done, feel free to spoon into a baking dish, top with a little more cheese, and put under the broiler for a minute or two for that "homemade from the oven" look. Cook the macaroni in boiling salted water following package directions. Drain in a colander and rinse with hot water. Drain well. Generously butter the sides and bottom of a 3 1/2- to 4-quart slow cooker. Combine the macaroni with the remaining ingredients in the slow cooker and blend well. Cover the slow cooker and cook on LOW for 2 1/2 to 3 1/2 hours. Gently stir the mixture each hour. 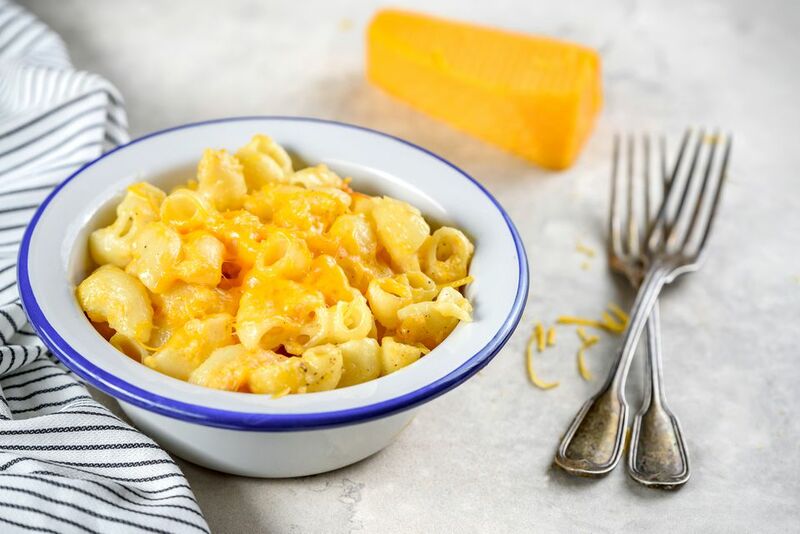 If desired, spoon the cooked macaroni and cheese mixture into a baking dish, sprinkle with a little more cheese, and put under the broiler for a minute or 2, just until cheese is melted. Or cover it with buttered bread crumbs and broil to brown.